Shareholders of Ghana Oil Company Limited, GOIL, have approved a proposal by the Board of Directors for a 25 percent increase in dividend for shareholders after it posted a 10.4 percent growth in profit after tax. At the company’s Annual General Meeting in Accra, the Board of Directors proposed a dividend of GHC0.025 per share to shareholders for the year ending December 2015 as against GHC0.020 per share declared the previous year. This was approved unanimously. The GHC0.025 dividend per share amounts to GHC6,305,587 compared with 5,044,470 Ghana cedis for the previous year. Profit after tax was GHC22.2million in 2015 as against GHC20.1 million the previous year. Giving more details of the company’s performance, the chairman of the Board of Directors, Professor William Asomaning, said GOIL achieved the biggest market share of 17percent among over 85 Oil Marketing Companies despite challenging marketing conditions and stiff competition. 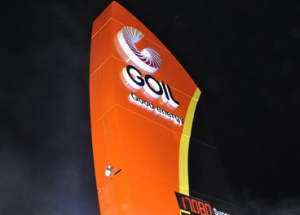 GOIL’s fuel sales, he said, exceeded its own target by 20 percent during the year 2015. The company, he said, remained on course to chalk more successes in the fuel retail business through competitive pricing, offering quality additivated products and value for fuel purchased by customers. “GOIL continued to focus on growing its core business through value-added joint venture engagements, takeover of distressed competitor stations and acquisition of new stations”, he added. On future prospects, the board chairman said, GOIL will continue to extend its operations towards the upstream sector, providing other services apart from bunkering and improve on added services such as the electronic card payment system or the GOIL Advantage card. The Company, he said will also reinvigorate its efforts to supply bitumen to satisfy growing national demand. “GOIL intends to establish itself in every district and the name must be a household one and should be associated with quality products and excellent service delivery”, he assured shareholders. The Managing Director of GOIL, Patrick A.K. Akorli, commended management and staff for the positive performance assuring the company was on the path of growth and will focus on major expansion projects to position it as a big player in the fuel retail business in West Africa.